LETA Capital venture fund has invested a further $1 million in Skolkovo startup Brain4Net, a leading Russian developer of software for upgrading and managing networks. The investment was made in the form of convertible notes, and will be used to perfect the company’s solutions and develop its product line, as well as to expand its partnerships both in Russia and abroad, Brain4Net said in a press release on Thursday. 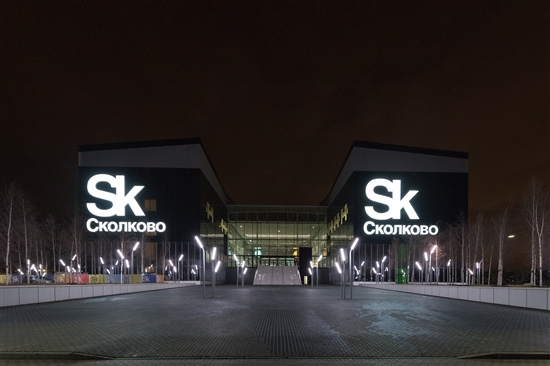 Brain4Net is a resident startup of the Skolkovo Foundation's IT cluster. Photo: Sk.ru. Brain4Net makes management systems for data transmission networks using Software Defined Networks (SDN) solutions and Network Function Virtualization (NFV). Its centralised control solutions are designed for use by both fixed-line and mobile network operators, as well as for building corporate networks. “The network technologies market is undergoing a major transformation today,” said Brain4Net CEO Oleg Shchapov. “Practically all the major telecoms companies have announced reduced investment in traditional solutions, and are focusing on the search for new technologies. The challenge presented by new trends such as 5G, the Internet of Things and web scale architecture means operators cannot be governed by the old models, so it’s important how, with which tech partners and how fast they take this route,” he said. Shchapov said his company has seen a lot of interest from the telecoms market, corporate sector and cloud providers in Europe and the U.S., as well as in Russia and across the former Soviet Union. “Companies like Brain4Net are laying the foundations for the coming 5G era, and should take their place on this rapidly developing market,” said Alexander Chachava, a managing partner of LETA Capital. LETA Capital, a Russian venture fund focusing on IT startups, invested $1.75 million in Brain4Net – one of its portfolio companies – one year ago, together with Rostelecom’s venture capital fund, KommIT Capital, in exchange for 20.3 percent in the company.